More commonly referred to as duplex stainless steel, S31803 or 2205 stainless steel is a steel which is used for a variety of applications. The reason for this? It offers top-notch anti-corrosive capabilities at a very reasonable price. However, this isn’t all that duplex offers. Looking to better understand the upsides of S31803 stainless steel? You’re in the right place. This article has all of the information you could possibly need. As was noted above, S31803 stainless steel is far more than just corrosion resistance. This steel stands out amongst other stainless steels in a variety of ways. Let’s discuss its unique characteristics now. Since its anti-corrosive abilities are typically what it’s touted for, we need to discuss them in detail. Often used in sea water, S31803 stainless steel thrives when it comes to resisting corrosion from chloride. This is why it’s often used in the underwater drilling industry. It plays nice with the salt found in the sea, functioning capably for decades and decades. Though it’s not the absolute strongest stainless steel on the market, S31803 is still very strong. Not only can it withstand a great deal of consistent pressure over prolonged periods of time, it can withstand physical trauma as well. Because it’s so strong, you might think that it’s also exceedingly rigid. However, the truth of the matter is that S31803 stainless steel is really fairly easy to bend. It’s a versatile steel which can serve a lot of purposes. What’s the reason that S31803 stainless steel often gets chosen over other anti-corrosive stainless steels? It’s affordable! S31803 can be sold for less money than other anti-corrosive stainless steels because it contains less nickel. Because nickel is costly to mine, it typically amps up the price of steels which contain it. As we mentioned above, S31803 stainless steel has top-tier anti-corrosive abilities. These abilities allow it to thrive in settings where water is ever-present. If you’re dealing with the ocean on an everyday basis, we recommend opting for S31803 products. Whether you’re looking for pipes, fittings, bars, or flanges, there are S31803 stainless steel versions available. If you’re truly going to understand the advantages of S31803 stainless steel, you’re going to have to gain an understanding of its structural makeup. S31803 stainless steel is something of a hybrid (or duple) steel, containing both austenitic and ferritic properties. Austenitic steels are high in chromium and nickel, and low in carbon. This combination of ingredients lends it terrific resistance to corrosion of all types. However, because it contains a good amount of nickel, it’s also usually very expensive. Ferritic steels are low in nickel, making them generally more affordable than austenitic steels. Tough, strong, and durable, they are often used for structural purposes. It’s the melding together of these two types of steels which creates the magic in S31803 stainless steel. The ferritic portion of the steel costs less money than the austenitic portion, allowing the price of the overall alloy to be lower than it otherwise would be. Looking to Buy S31803 Stainless Steel? Interested in taking advantage of S31803 (duplex or 2205) stainless steel? Looking to buy S31803 stainless steel? Great Plains Stainless is the company to call. 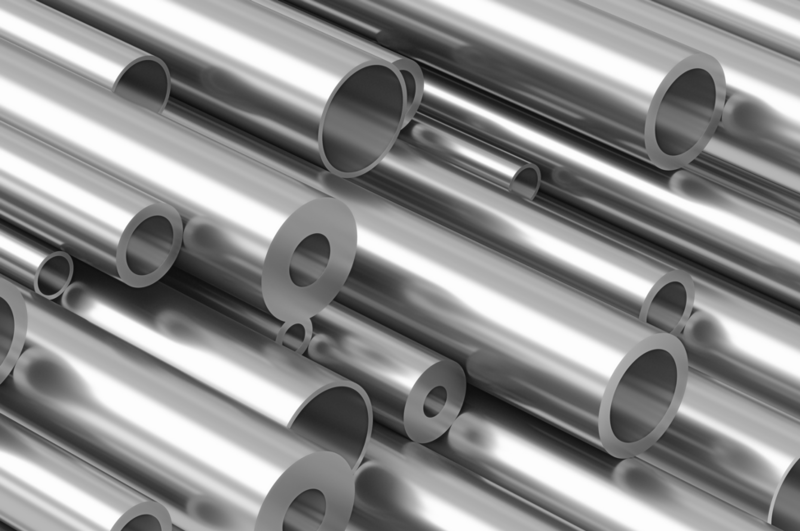 We offer a large selection of S31803 stainless steel products, including pipes, bars, fittings, plates, and more. Available in a variety of sizes, there is almost sure to be one which fits your needs.